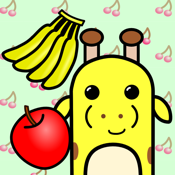 Tap to help Maxi-kun(Giraffe Calf)'s lunch!! But Gorgori (Gorilla) doesn't always throw food . Let's aim for a high score!! This app accesses GameCenter on start-up and game over screen.